Summary: Seeking women ages 18–32 to participate in a study on ethics and morality. Generous compensation. Anonymity guaranteed. The talented writing duo, Greer Hendricks and Sarah Pekkanen, are back at it again with AN ANONYMOUS GIRL. It's beyond my comprehension how these two can write a thriller together, but it's safe to say that they definitely can. AN ANONYMOUS GIRL is a cat-and-mouse game between two women that has very serious stakes, and I thought it was an entertaining story. AN ANONYMOUS GIRL stars Jessica, a young makeup artist living in New York who is struggling to make ends meet. As if it's not expensive enough to live in the city, Jessica also tries to help out with her special needs sister who lives back home with her parents. When Jessica learns that one of her clients is being compensated for a study on ethics and morality, Jessica decides to "highjack" her space in the study (not exactly a pillar of morality, right?). She's expecting to answer a few questions and make some quick cash; however, she finds herself involved in a life or death situation! As Jessica becomes more involved with Dr. Shields, she realizes that she's not sure who or what she can trust. She feels a strange affinity with Dr. Shields, but she's also frightened of what Dr. Shields knows about her life. And when she learns that an earlier subject in Dr. Shields' research was found dead, she wonders if her life is in danger. Can Jessica get to the bottom of this mystery while also saving herself from the imminent danger? 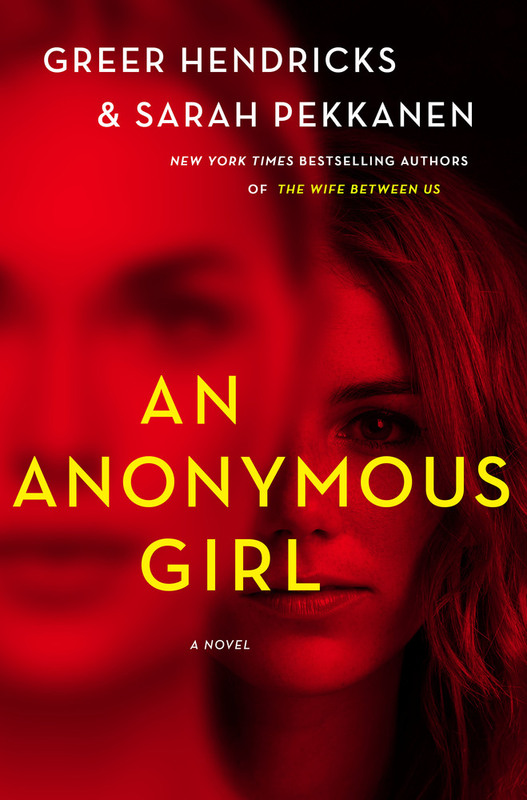 I enjoyed AN ANONYMOUS GIRL and it's no wonder that it was an instant bestseller. I enjoyed the back and forth tension between Jessica and Dr. Shields; and like Jessica, I didn't really know who or what to believe. The book definitely felt like a roller coaster ride, especially the second half; and there were definitely some scary/uncomfortable moments between the characters that made things fun. So all in all, I thought it was a solid thriller. However, I'm not sure that I'd go so far as to say I loved it. I had some issues with the basic plot and found myself having to suspend reality. For example, I thought it was weird that Jessica listened to a client's phone message and then went to the study and impersonated her... and that happened in the first few pages of the novel. In addition, I'm not sure that Dr. Shields and her actions were altogether realistic for me (which is fine for a novel! ), but I chose to not think to much about those things and just enjoy the mind games that took place between the characters. What did stand out to me about this book was how the authors chose to explore morality. It's apparent from the first few pages that Jessica isn't exactly a goodie-two-shoes, and I appreciated how her actions were called into question with the study questions. I especially enjoyed how the questions caused discomfort in Jessica as they became more and more invasive while also ratcheting up the discomfort for the reader. In fact, there were numerous times during this story where the authors did an outstanding job with the pacing and the tension! AN ANONYMOUS GIRL is an exciting thriller that actually delved into some interesting ethical questions. It's definitely a worthwhile read for fans of thrillers! I received a copy of this novel from the publisher via Net Galley. I'm sure this book isn't perfect but I'd still like to read it. I saw an interview with the authors and they said they wrote every single line together. I don't know how they do it. I'm glad you enjoyed the books despite it's flaws. Some of my favorite books (and movies) are like that, where I feel like I have to suspend a little bit of disbelief to enjoy them.